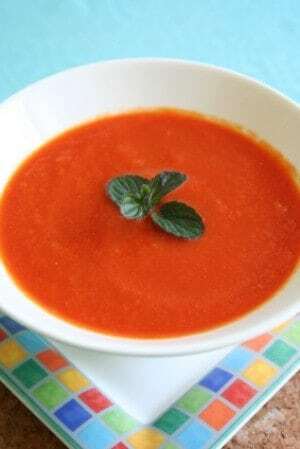 You can make the La Madeleine Red Pepper Soup at home with this recipe. 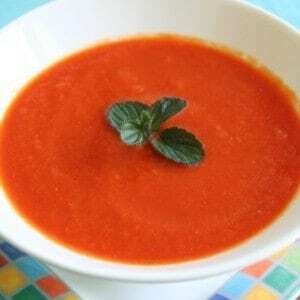 Nothing beats the taste of this restaurant fresh red pepper soup. The secret recipe is out, you can make this recipe at home. You can make La Madeleine Red Pepper Soup at home. In a heavy saucepan, heat olive oil over medium heat and add the onions, fennel seeds, thyme, bay leaf, garlic, basil, red pepper, and jalapeno pepper. Saute the vegetables over low heat until wilted, about 10 to 15 minutes. Add flour and stir over low heat about 10 minutes to cook the flour. Add the chicken stock, whisking until smooth, along with the tomato paste and fresh tomatoes. Cook the soup over medium heat, partially covered for about 45 minutes. Puree in a blender or food processor. Return puree to pan and add cream and simmer for about 10 minutes. Taste for seasoning, add salt and pepper to taste. I love this soup. I have been looking for the recipe for awhile. I’ve tried other recipes but nothing ever comes out even close. I’ll try this one.